A large pair of approx. 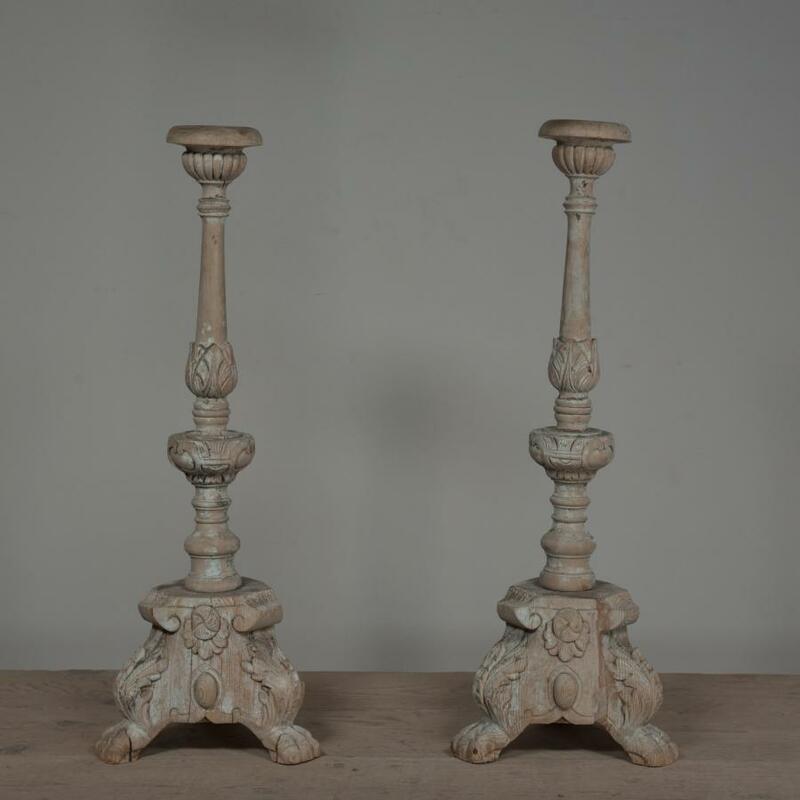 early 19th century antique carved candlesticks with traces of original paint.Italian or Continental. 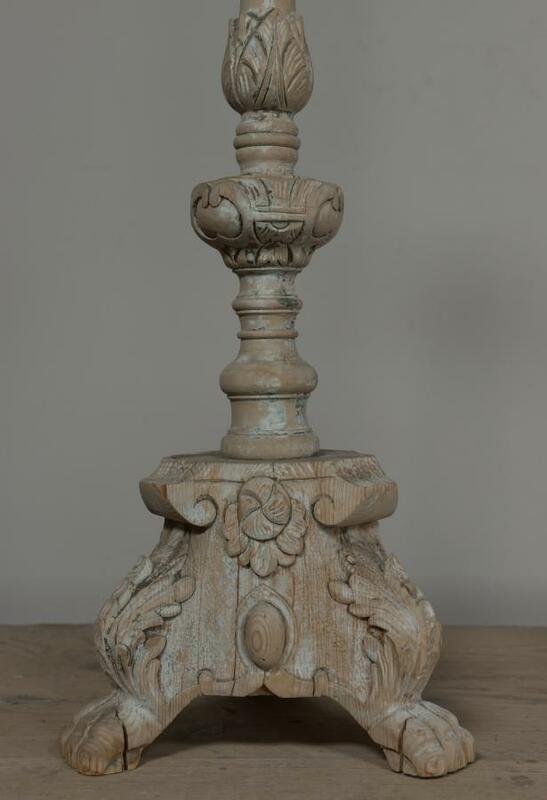 They have been converted into table lamps but can still be used as candlesticks by simply removing the fittings by hand. 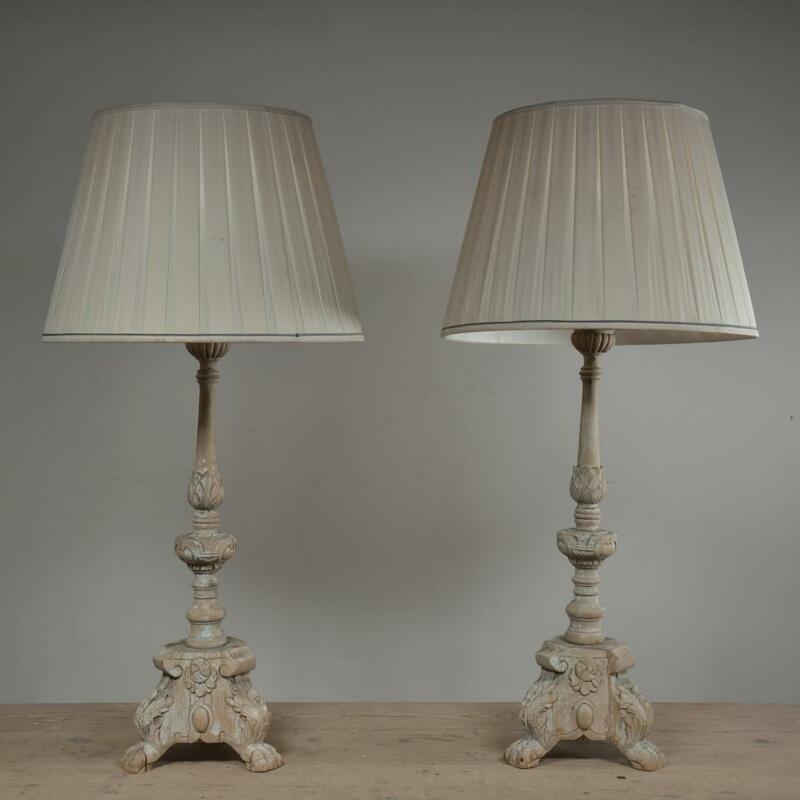 Complete with large, good quality pleated shades.These are functional but require cleaning or replacing. They can be supplied rewired with fresh fabric flex in the length and colour required. 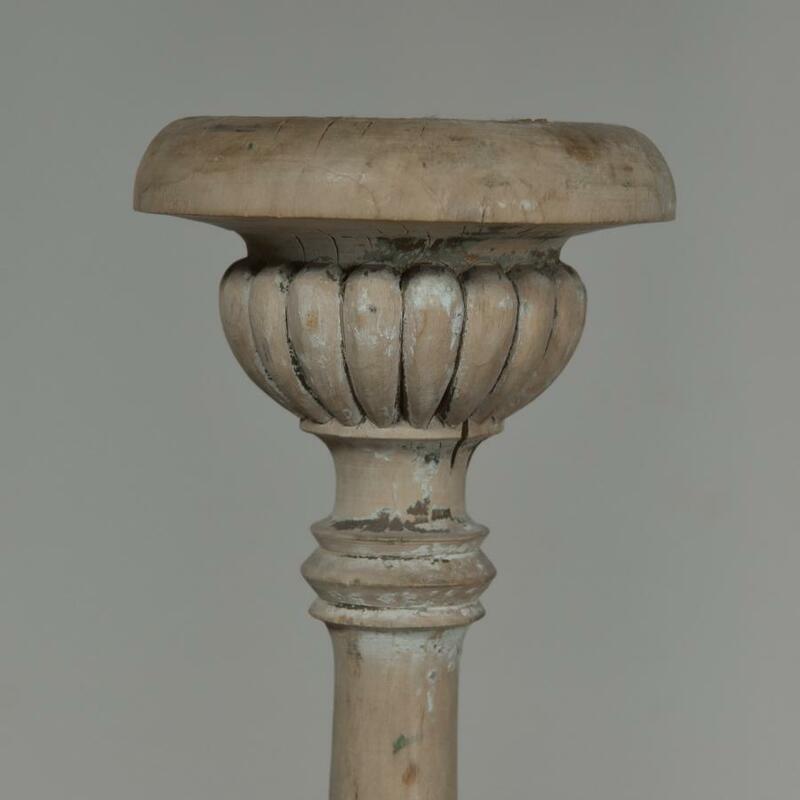 Dimensions in inches/cms; With fittings and shades; 42.5"/108 tall by 21.25/54cms diameter As Candlesticks; 29.75"/76cms tall by 11"/28cms wide (at base) For more / higher res images please see my blog which can be accessed through the news section of this (haes) website.